Hepatitis C virus(HCV) infection is not taken seriously especially in developing countries.The typically newly diagnosed patient is usually young, healthy and has few or no symptoms that can be attributed to the HCV infection. Because of this, some doctors and many patients do not consider hepatitis C to be a very serious illness. Clearly, hepatitis C virus causes progressive liver disease which eventually leads to cirrhosis with its attendant risk of liver cancer (hepatocellular carcinoma) and death. All that is needed to know as regard to the virus,mode of infection, therapy,diagnosis,primary and secondary preventive measures, nutrition etc are contained in this book. 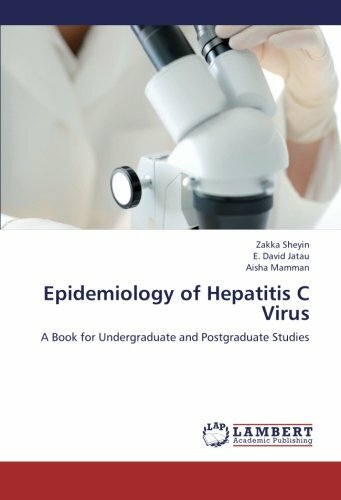 The knowledge obtained is also useful for those with hepatitis B and hepatitis D virus. Dr Sheyin Zakka was born at Chori-Manchok, Kaduna State,Nigeria. His academic qualifications among others include B.Sc, M.Sc, Ph.D(MICROBIOLOGY), A.B.U. ZARIA, AMLSCN-VIROLOGY.He is a part time BMLS Virology Lecturer,A.B.U Teaching Hospital,Zaria.Presently H.O.D Clinical Lab. dept, HGSGH, Ministy of Health Kaduna State,Nigeria.